Founded in 1975, Borgo Conventi was named after an ancient legend on Farra d'Isonzo: historical documents stated that Count Strassoldo, a landowner known as "The Rizzardo", donated a piece of land to a monk named Basilio Pica. On this land, in the province of Farra d'Isonzo, the Dominican fathers built a series of monasteries, from which derives the name "Borgo Conventi", literally "Monastery Hamlet". Since the beginning, the company was listed among the best avant-garde winemaker in Friuli, thanks to the particular attention and special care they gave to the vineyards. 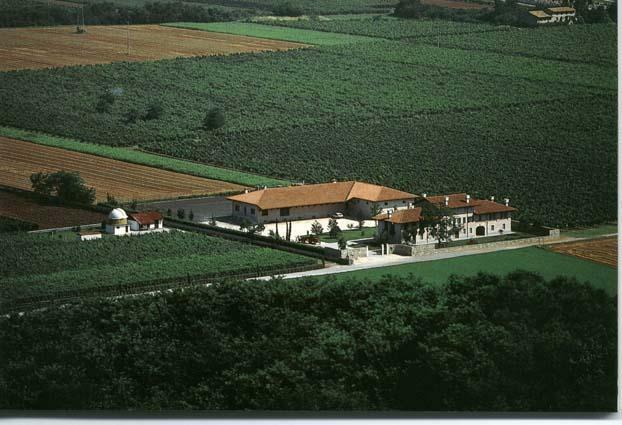 2001 has been an important year for Borgo Conventi: the property of the company was in fact taken over by the well-known Tuscan winemaker Ruffino. The combination between a centenary experience in wine making and the best quality of Ruffino gave additional vitality and energy to Borgo Conventi. Today Borgo Conventi's vineyards cover over 40 hectares of land, among two of the most important DOC regions in Italy: Collio and Isonzo. The annual production reached 300.000 bottles, divided in Collio DOC, Isonzo DOC and Venezia Giulia IGT areas.